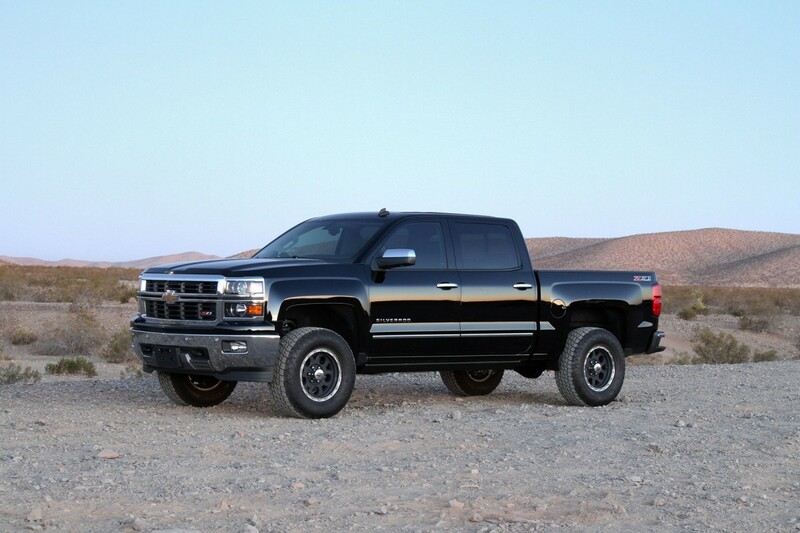 This system offers a mild lift height with easy installation for clearance of 33” tall tires on GM C/K1500s. 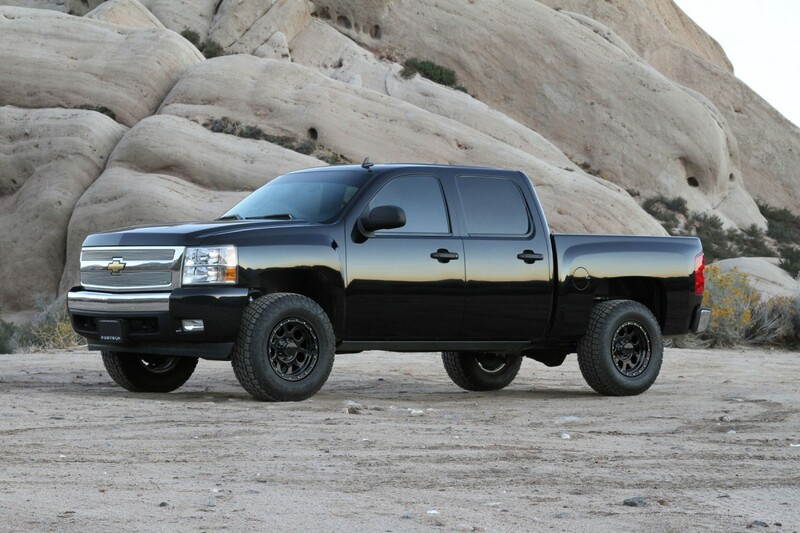 Lift is accomplished by utilizing the factory front Coilover shocks with steel spacer system that helps retain the stock ride of the front suspension. The stock upper control arms are replaced with high quality tubular Uniball arms that allow unrestricted movement throughout the travel range. The arms are constructed of top quality material including .120” wall 4130 Chromoly tubing with a 1.50” OD and 1” FK Stainless PTFE Uniballs. 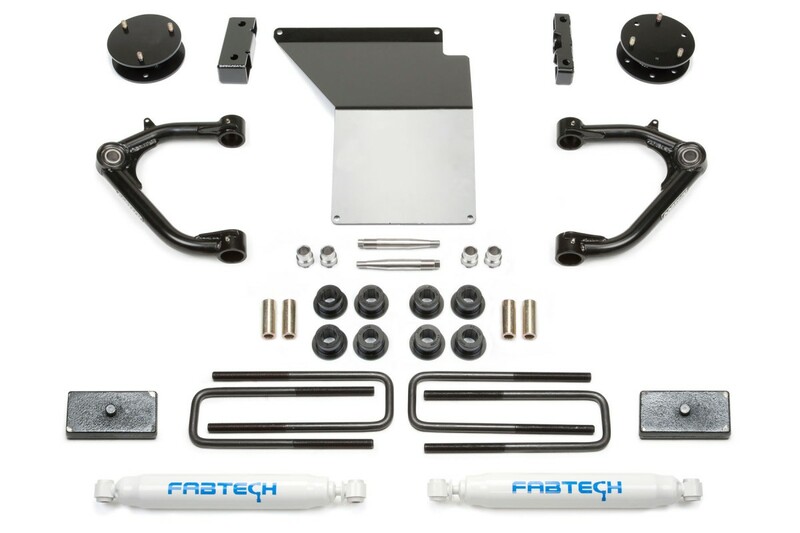 These arms are the best on the market for aggressive offroad driving in harsh conditions. 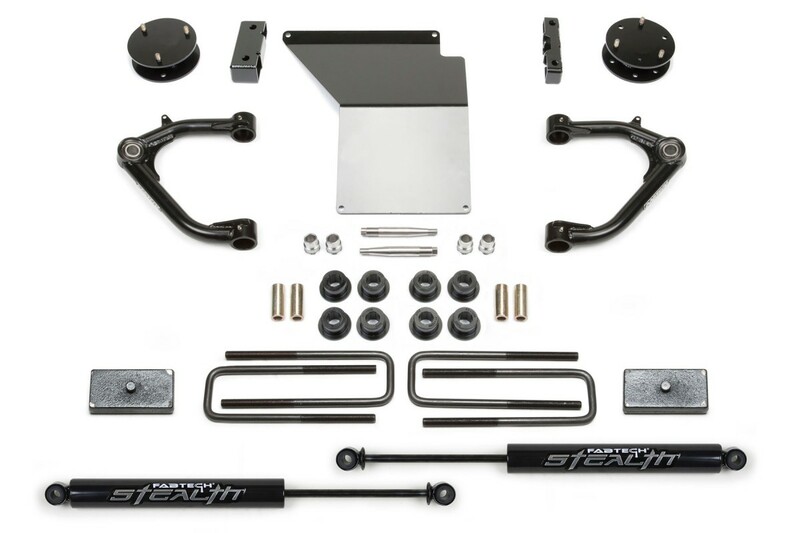 Rear lift is accomplished with 1 1/2" rear lift block and u-bolts to help level the stance of the vehicles. Performance rear shock absorbers replace the stock units for increased damping. 1. Will not fit models with Factory AutoRide shocks. 8. Will not fit all wheel drive models.